If you have an electric guitar and an iPad/iPhone you've probably heard of the iRig device. In Singapore, the iRig is available at Davis Guitar Music Centre (Peninsula Shopping Centre) for around SGD $80-85 (sorry forgot the correct amount quoted). The Peavey Ampkit is around SGD $79 but is currently unavailable (from SweeLee and SV Guitars). And for less than SGD $35 you can assemble your own iRig Guitar Cable to connect to the iPad/iPhone. I'll show you how. 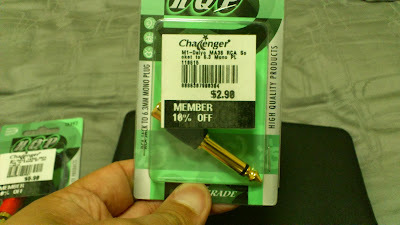 All the items I bought was from Challenger (Singapore) but I will give links to Amazon items that can also be used. I would like to point out that Not all RCA Video cable are wired the same way. 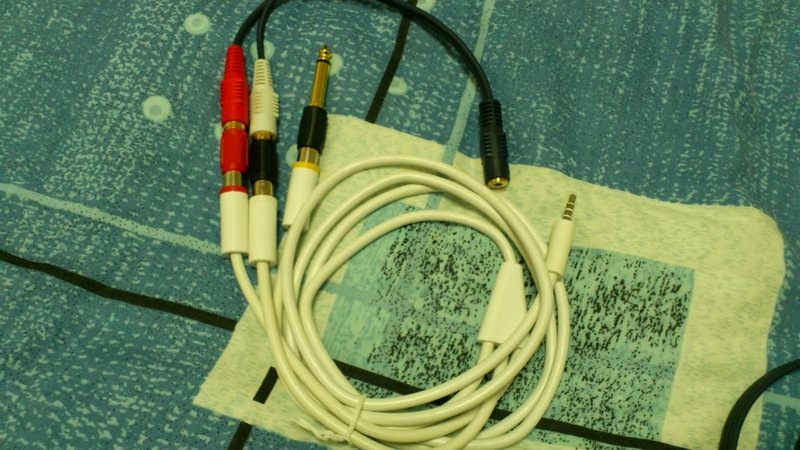 If you have an existing 3.5mm to RCA A/V Cable (from old camcorders etc), by all means try if it works. 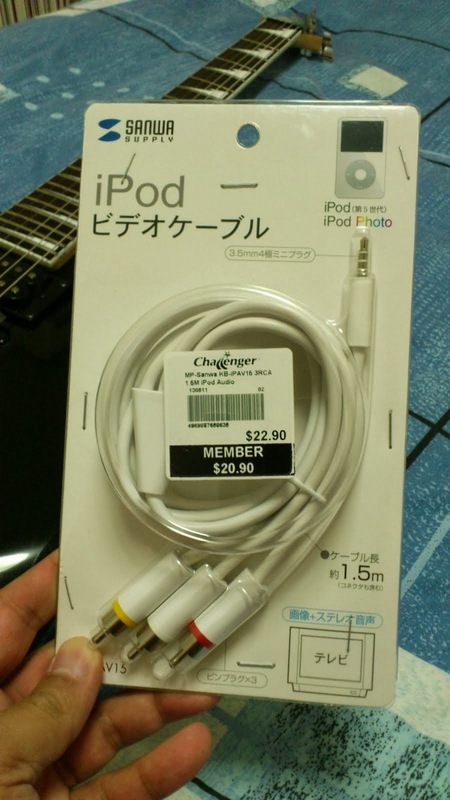 But if you are going to buy one, just make sure it works with the iPod Video or was designed for the iPod Video. 1) Change the RCA plug that goes into the guitar. 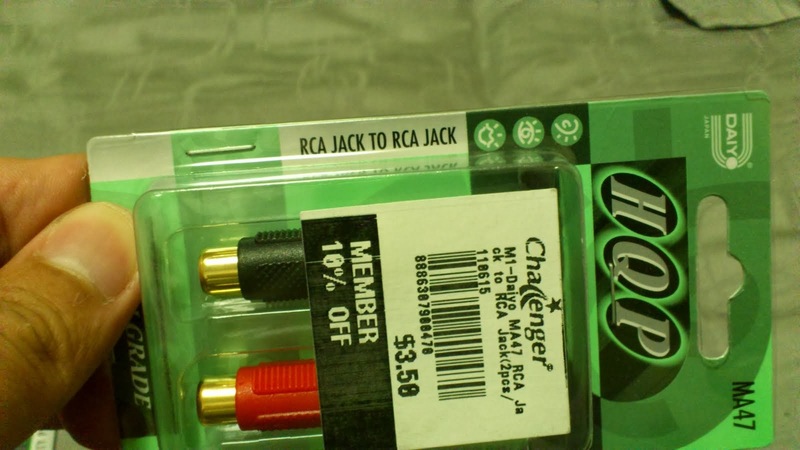 Normally the Yellow RCA plug should be the one going into the guitar but I have seen others use the Red RCA plug. In fact, I have one other cable that works by using the White RCA plug as input. 2) Set your guitar to max volume and choose a single coil pick-up then plugin the cables into the iPad/iPhone. I'm using an Ibanez GRG170DXL that has two humbuckers and a single coil. 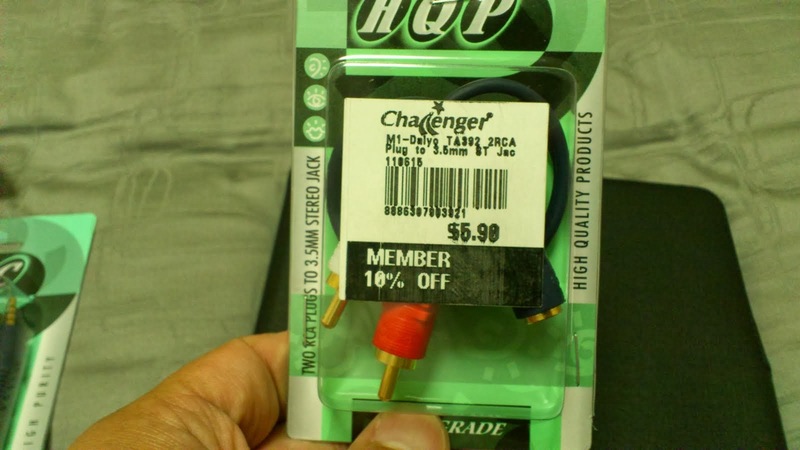 If I choose the humbuckers there will be no line-in signal, but once I set it to single coil then re-plugin the cable, line-in signal was detected. After the iPad/iPhone has detected the line-in signal you can switch to the humbuckers. * Just play with the switch positions on your guitar, re-plugin after every change to check if signal is detected. 3) In GarageBand, make sure the "Monitoring Option" is turned "On" to hear the guitar. A public diary of Karrie Nodalo-Nipal.